The challenge of countering Islamic extremism in liberal democracies continues to vex policy makers, the security community and the wider public. 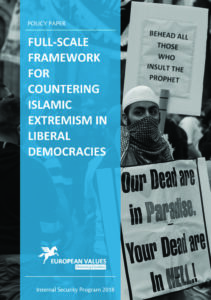 The purpose of this document is to offer policy makers in liberal democracies a comprehensive but triaged set of recommendations to build a full-scale response to Islamic extremism and minimise its influence. 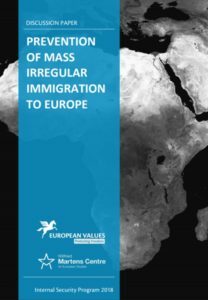 The purpose of this discussion paper is to contribute to the ongoing political debate in the European Union about finding solutions to migratory pressures and implementing the European Council’s conclusions aimed at stemming the unprecedented migratory flows Europe has been facing since 2015 (bearing in mind that the number of irregular arrivals has been reduced significantly by now). This paper should serve primarily to policy makers, policy advisors and government officials in the EU Member States and institutions. Radicalization towards militant Islamism and terrorism constitutes a long-term threat for the European Union countries. The problem is gaining dangerous momentum with the expansion of the Islamic State (IS), which changes the geopolitical arrangement in the Middle East, encourages radicalization and inspires terrorist attacks in Europe and elsewhere in the world. Addressing this situation requires a proactive approach of the political leaders and expert public in the fight against the spread of Islamism. For this reason, the European Values think tank ​​presents this expert publication, which lays down the basis for a discussion on how to successfully remove the threat of IS and secure Europe against the threat of Islamic terrorism. The European Values Think-Tank introduces a new background paper. 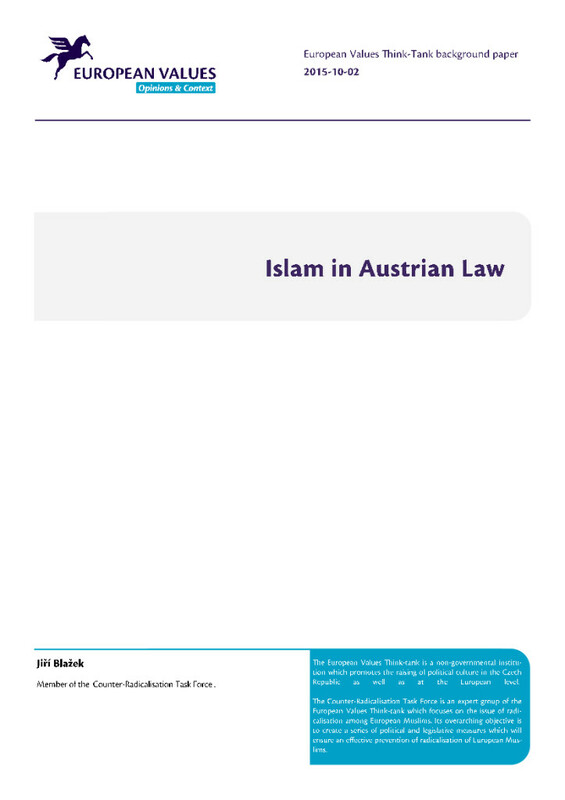 Authored by Jiří Blažek, it analyses the position of Islam in Austrian Law. 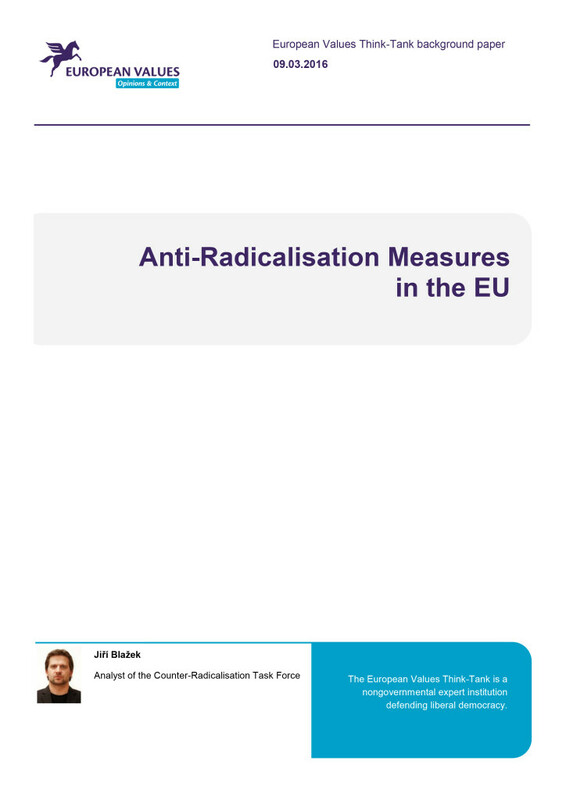 The European Values Think-Tank introduces a background paper “Anti-Radicalisation Measure in the EU”. Radicalisation – both political and religious – presents one of the biggest security threats for European states and their democratic systems. 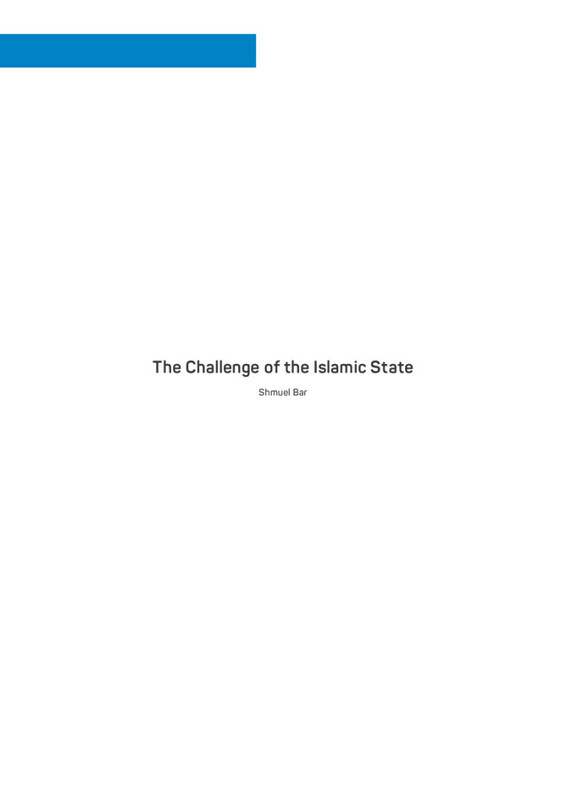 This paper focuses at ways how to tackle militant Islamism, which at present seems to be the most serious challenge especially in the Western Europe.